When the mercury drops, the soup ladle and the wine glass are the best of friends. 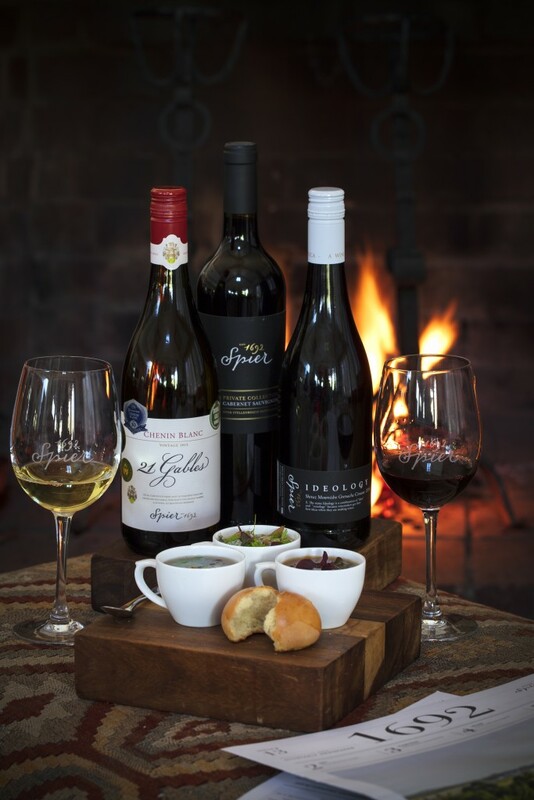 Spier’s Chef Lolli Heyns serves up three hearty pairings for the wine farm’s Winter Tasting, available at its cosy Tasting Room from 1 June until 31 August. Take a seat by the blazing fire and tuck in. First up, is the acclaimed 21 Gables Chenin Blanc with a lightly smoked pasture-reared chicken and coriander broth. Then, there’s the Ideology Rhône-style blend with a slow-roasted mushroom and Gorgonzola soup. Lastly, the majestic Private Collection Cabernet Sauvignon, which is matched with a slow-cooked Springbok shank and barley soup. The Winter Tasting is available for R95 per person at the Spier Tasting Room, which is open from 09:00 to 17:00 from Monday to Saturday and from 11:00 to 17:00 on Sunday.